Google maps 8-bit version's appearance will gladden the lovers to play game consoles Nintendo. The cartridge NES has a dial-up modem. That's why one has to link up a cable to make contact with global network. It gives possibility to work with Google servers and loading maps in real time. To overcome technical restriction more than 100000 servers will be used. Having made 8-bit version, Google took care of the youngest users. But only outward design of the program is like NES game, other things else are real maps with real quest and scaling. To set out the search of something one can type the name of the locality or the object of quest in the game consoles as in ordinary maps. One can search the objects on the map in two ways: with the aid of the console lead-in or with the aid of the microphone for the voiced lead-in on the Nintendo control panel. Besides, a playing version of the maps can determine the journey itinerary from one point on the map to another one. Google maps are used in different figure devices as from desk computers to mobile devices (phones, tablets). Game console NES continues the employment list. 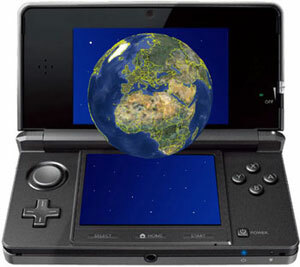 You have to suppose that when the three-dimensional games appear for Nintendo 3DS the quantity of games on Google maps will become bigger or Google Earth in stereo mode will find its place for game consoles too. near French Joel Robuchon restaurant.